No matter what you decide to wear on any given occasion, be it a blazer or a suit coat, with or without a tie, a stylish, confident man always dons a refined pocket square. 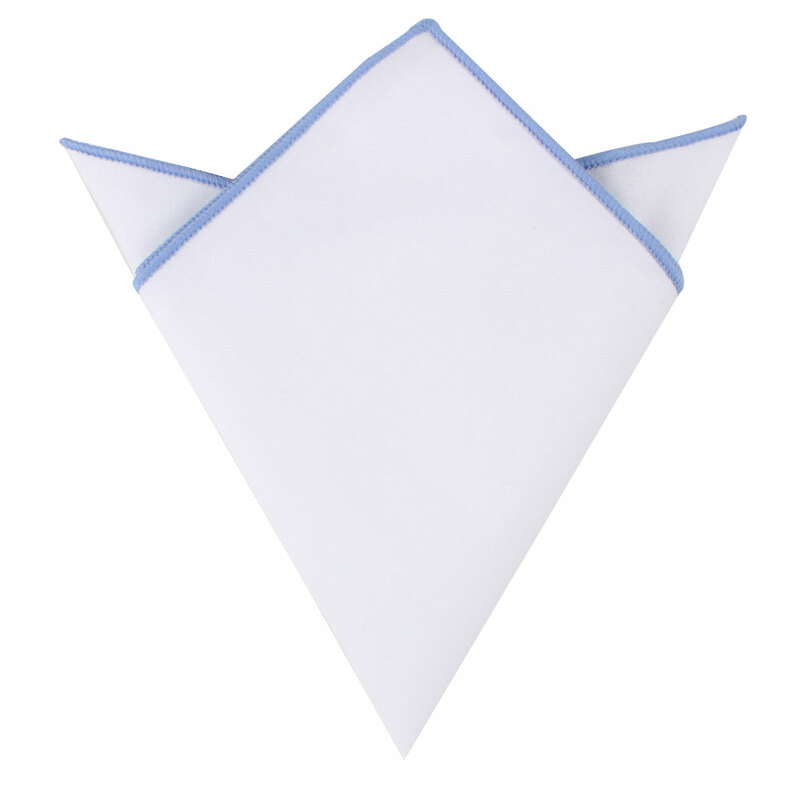 The Light Blue Edge White Pocket Square is a handsome accessory suitable for any coat pocket with its light blue border that complements any colour that you may choose to match it with. 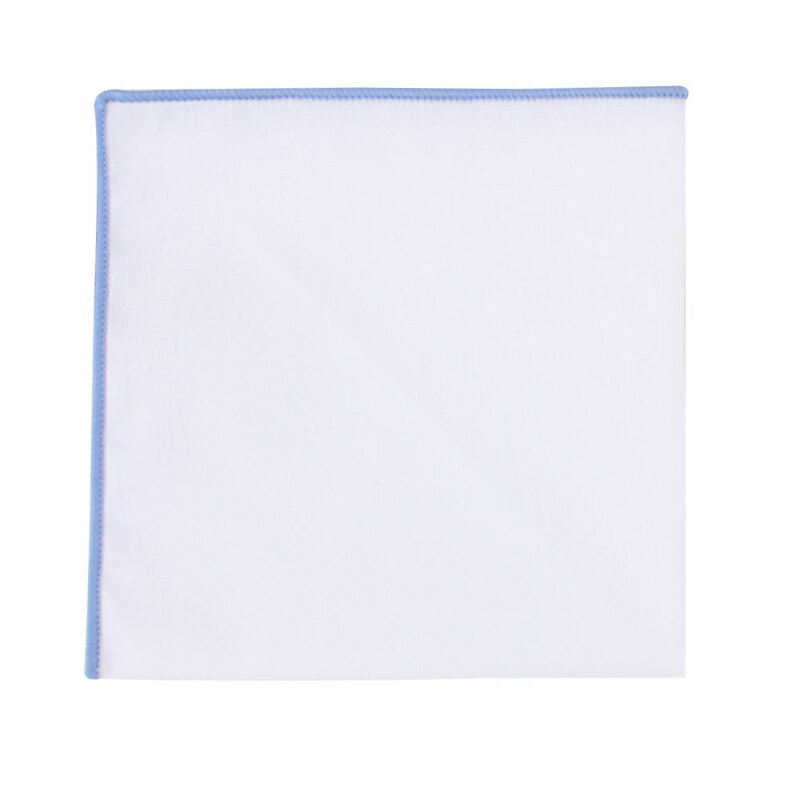 Try the Light Blue Edge White Pocket Square with our Light Blue Tie or give it as a groomsmen gift for those in attendance of a wedding with a light blue colour palette. These finely crafted pair of cufflinks have circular patterns elegantly etched into them to add a subtle yet sophisticated touch. Wow! That is what you will be saying every time you see yourself in the mirror adorning this Baby Yellow Skinny Tie & Pocket Square Set. It is striking and vivid, especially against a dark grey suit or a black suit. Make your outfits as exciting and vivid as your lifestyle by choosing to put this tie in your collection. Stand out in the crowd or get this as a gift for your groomsmen so that your wedding party will certainly stick out as they stand beside the groom while perhaps matching the yellow found in the bridesmaid’s dresses. Order your matching sets online today for your next big event in which you want to make a statement. These meticulously crafted pair of cufflinks will add a sophisticated touch to any outfit. With a gold emblem encased by enamel black and finished off with a gold wrap, these are sure to delight the most stylish among us! Show off your love for life and your impeccable sense of style with the choice of this Classic Orange Pocket Square. Not only are these great gifts for men, they make nice groomsmen accessories for matching the beautiful orange in the bridesmaid’s dresses or even as a pocket square for the groom himself. 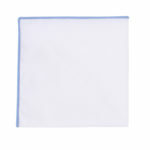 Either as a gift for him or as a groomsmen accessory, no one can go wrong with a Classic Orange Pocket Square. The fabric is made from a 1200 needle count which is higher grade than the usual 960 needle count most pocket squares are made from. Combining style and creativity, these bold tapered pair of silver cufflinks with detailed indents across the top will certainly stand you out from the crowd. They will be suitable to wear with many different styles of shirts and ties so would make an ideal gift for that special someone! The sleek and sturdy design of these cufflinks will provide an elegant touch to your cuff. Whether for business or formal wear, they compliment any classy shirt or suit. For the simplistic, classy man you cannot go wrong with a pair of these originals amid your collection. Made for ANY occasion, a ‘saved by the bell’ accessory item. Never outdated; always elegant, these silver cufflinks are a perfect gift for any age. These beautifully crafted anchor cufflinks would make an ideal gift for those who love to explore the seven seas. Get a hold of a pair today! Black and blue have forever been recognized as two colours that go well together for a bold look. The Black Light Blue Leafy Floral Skinny Tie does just that and in a beautiful pattern to boot. The leaves of the flowers provide a nice accent and balance to the black and blue colours so that this tie doesn’t seem too bold or loud. These floral ties make nice wedding ties or casual gifts for men who enjoy the finer details of their clothing. Pair this tie with any colour suit, as blues with black typically will go with any suit you choose. Silk knot cufflinks are gaining more and more popularity and make for a great alternative to your standard pair of cufflinks. Whether as a gift or for yourself, make sure you add a few to the collection!